Newton Village Gardening Club has a thriving membership of over 60 gardening enthusiasts, some of whom are particularly accomplished with competition winning gardens, whilst others are complete novices. Regardless of knowledge or experience we have a great mix of enthusiastic and encouraging likeminded people. Irrespective of expertise - we are an extremely friendly bunch with a common link of gardening. 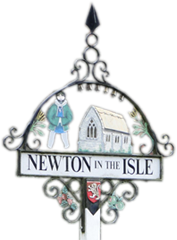 We meet at 10.00 for a 10.30 start on the fourth Sunday of each month in Newton Village Hall, with the exception of various annual events, garden visits and outings (details of which are on the Diary Dates page). The following is a precis of our action packed calendar, but gives an overall view of Newton Village Gardening Club. We invite an eclectic mix of guest speakers, often starting and ending the season when fair weather gardeners aren't donning their wellington boots! A seedling and plant auction is not to be taken too seriously - but a great opportunity to bag a bargain, test your bartering skills, donate unwanted cuttings or merely enjoy the entertainment - whilst raising funds for the club. There's a chance to pack a picnic for our annual coach outing to a picturesque garden or garden related place of interest. We have introduced an increasingly popular addition to our diary, where we are invited to visit members' gardens for a Sunday morning meet. Regardless of itinerary or venue, there is tea, biscuits and chatter, interspersed with a raffle and a quiz or two! One of the highlights of our programme is a biennial summer barbeque where themed fancy dress is not compulsory - but enjoyment is imperative! The annual produce competitions always encourage a good turnout, judged anonymously by the membership after sampling categories of wines, cordials, chutneys, jams and admiring displays of home grown produce and flowers. Our Christmas party is synonymous with Newton Gardening Club's personality, and a great get-together to end the season.